How To Add WordPress Blog To Bing and Yahoo Webmaster Tools? 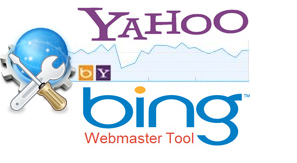 Bing Webmaster Tools are used to check the Indexing Status, Crawl rate and view statistics about a particular site. It simply provides you the data and reports related to your blog, through which you can easily understand the appearance of the other pages on your blog. It is displaying the results of search queries and how often it has been clicked. If you want to optimize your site for search engines, just add your WordPress blog to Bing and Yahoo Webmaster Tools. 1- How to Add Your Site to Bing Webmaster Tools? Step1. Sign-In to Bing Webmaster Tools. 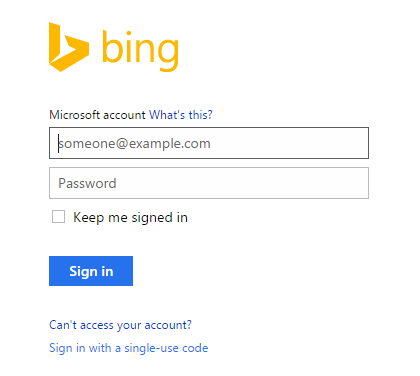 Just Sign-In Bing Webmaster Tools with your Hotmail ID, if you haven’t, you can sign-up and make a Hotmail Account. Step 3. Verify your site. Here you got 3 Options. 1- Place an XML file on your web server. 3- Add CNAME record to DNS. I am going to use the 2nd one, because it’s quite easier as compare to others, there for you have to just copy the Meta Tag Code from the second option. 4- Sign-in to your WordPress Dashboard. Once you get the code, just sing-in to your WordPress blog. 5- Paste the code below header in WordPress. First go to Editor below Appearance, and then select header from the right side or you can click on the coded area and Ctrl+Enter, it will open a bar, now type </head> and enter, which will discover the header coded line. Now paste that code below </Head> and save. Now go back to the Bing Webmaster Tool and verify it. Now you can easily analyze the ups and downs of your blog traffic. 2- How To Add Your Blog To Yahoo Webmaster Tool? Well, once you added your blog to Bing Webmaster Tool, there is no need to add your site to Yahoo Webmaster Tool, because they are linked with each other. 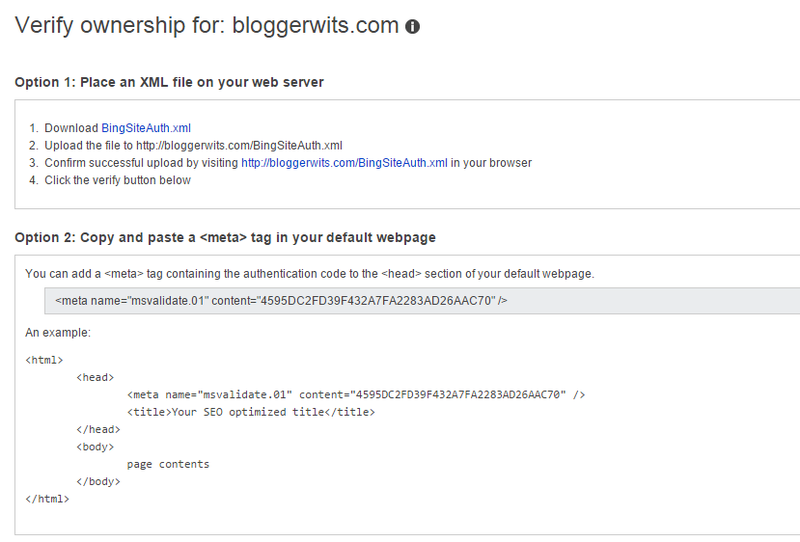 How to Add WordPress Blog to Google Webmaster Tools? 1.4 How to Deal With Crawler (SEO Guide)? How to add Threaded Comments in blogger?